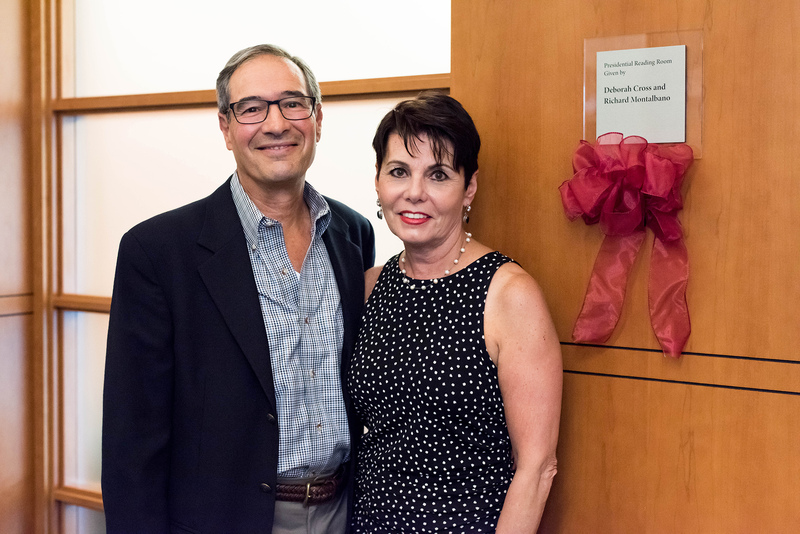 Blue Bell, PA —Montgomery County Community College (MCCC) celebrated the naming of its Presidential Reading Room on June 13 in Blue Bell, thanks to the generosity of Richard Montalbano and Deborah Cross, of Dresher. Their generous pledge to the Student Success Endowed Scholarship as part of the MCCC Foundation’s Futures Rising campaign was commemorated with a plaque. Montalbano is a member of MCCC’s Board of Trustees, for which he chairs the Personnel Committee. He also chaired the College’s recent Presidential search. Montalbano has been a hospital administrator for over 40 years, most recently serving as the vice president and project executive for Einstein Healthcare Network. In that capacity, he was part of the leadership team that helped build the new Einstein greenfield hospital and campus in East Norriton. Cross is an Adult Certified Nurse Practitioner who currently works for Abington Medical Plaza. She previously taught at University of Pennsylvania’s School of Nursing for 17 years. Montalbano and Cross have been involved in multiple charitable endeavors, including Impact 100, Habitat for Humanity and healthcare mission trips to Haiti. Futures Rising, the MCCC Foundation’s first-ever comprehensive campaign, exceeded its $9 million goal to raise a total of $10,526,000 over two years. In addition to establishing 82 new student scholarships, the campaign provided support for key student success initiatives and arts programming, among other areas of need. To learn more giving opportunities at MCCC, visit http://www.mc3.edu/giving. Ambler, PA —Women helping women—that’s the idea behind the Annual Karen A. Stout Leading Women Symposium and Golf Experience, a marquee fundraising event for the Montgomery County Community College (MCCC) Foundation. More than 140 female role models came out to support scholarships and programming for MCCC’s female students at the 12th annual event, named in honor of MCCC President Emerita Dr. Karen A. Stout, on June 6 at Talamore Country Club in Ambler. The event raised more than $25,000. Two of those recipients—Beth Holleger and Tamara Ali—were invited to share their stories during the brunch symposium portion of the event. Holleger, who graduated from MCCC in 2014 and is entering her senior year at East Stroudsburg University, shared the impact scholarships had on her education. Ali, who is a KEYS Scholarship recipient, graduated in May 2016 with an associate’s degree in human services. Leading Women arose from conversations between Dr. Stout and Deb Takes, who, with a dynamic group of female leaders affectionately referred to as the “founding mothers,” started a Woman-Owned Business Network and a course, “Starting a Successful Woman-Owned Business,” to support female entrepreneurs. The motivation behind the golf portion of the event is the need to break down gender barriers that may exist for women in business. As such, Leading Women is not your typical golf fundraiser. Because business deals and networking often occur on the golf course, the event has a unique learner portion, during which participants learn the fundamentals of the game. As learners get taught how to chip, putt and drive, foursomes of more experienced golfers—many of whom started as learners—play in a scramble format. Dr. Stout, who now serves as president and CEO of Achieving the Dream, a national student success reform network, delivered a keynote address that focused on ways in which organizations and individuals can move out of their comfort zones and move into learning zones. The organizing committee for 2016 Leading Women Golf Symposium was led by two MCCC alumna and Alumni Hall of Fame inductees, Cindi Diccianni and Pat Nunan, both of whom are business owners. This year’s event was made possible by the following sponsors: ADT, Baker Tilly, Diccianni Financial Group, Fox Rothschild, Alma Jacobs, Ambler Savings Bank, Apollo Granite & Marble, Chartwell Law Offices, State Representative Madeleine Dean, Nance Dicciani, Saul Ewing, Joe and Kathy Gallagher, State Representative Kate Harper, J.O.B. Design & Construction, Keiffer’s Appliances, Lakeview Dental, Lifestyles Design, Motz Wealth Management, Universal Credit Services, Wilmington Trust and UNIVEST-Banking, Insurance, Investments. In-kind sponsors included 4 Seasons Tanning, Act II Playhouse, Alma Jacobs, Ambler Theater, Blue Bell Country Club, Body Serene Day Spa, Center Square Golf Club, Cindy Diccianni, Comcast, Costco Wholesale, Crown Plaza Philadelphia West, The Culinary Arts Institute of Montgomery County Community College, Dolores Lare, Fireman’s Hall Museum, Gallagher Fluid Seals, Inc., Gerhard’s Appliances, Glasses by Amanda, GolfSmith, HCAM, Hilton Philadelphia at Penn’s Landing, Maureen Thompson, Motivs Cosmetics, Norristown Bell Credit Union, A&C Kitchens, Nu Waves Salon, Pat Nunan, Penn Museum, Pennsylvania Academy of Fine Arts, Pinecrest Country Club, Philadelphia Museum of Art, Sovereign Security, Stark & Stark, Target, Tattoo Alley, TransAmerica Life, Uncorked Artist and the Leading Women Committee. For more information, email foundation@mc3.edu or call 215-461-1139. POTTSTOWN, PA – The 2016 Greater Pottstown Foundation Scholarship for the Arts is a $10,000 scholarship designed to financially assist a local high school senior from Pottstown, Pottsgrove, Owen J. Roberts or The Hill School in obtaining a degree from accredited academic institutions of higher learning for study in the arts. ArtFusion 19464 is proud to partner for the fifth year with the Foundation to present this scholarship. The scholarship is awarded based on two criteria: artistic performance as displayed at the Greater Pottstown Foundation Scholarship Art Exhibit at ArtFusion 19464, and an essay on why the applicant wants to continue their education in the arts. The applicant’s intended field of study must include a major or a minor in an arts-related field. The 2016 applicants are: Leila Atoo (Pottstown), Aslan Berbaum (Pottsgrove), Bryan James Collins (Pottsgrove), Zachary Eric Foreman (Owen J. Roberts), Alexandria Gallion (Pottsgrove), and Madison Schaeffer (Owen J. Roberts). The scholarship will be awarded at a ceremony at ArtFusion 19464 on Saturday, May 21 at 1pm. The ceremony is open to the public. The candidates’ artwork, along with artwork by other local high school students, will be on display in the ArtFusion main gallery until June 4. ArtFusion 19464 is a 501(c)3 non-profit community art center located at 254 E. High St. in downtown Pottstown. The school offers day, evening and weekend classes to all ages. The goal of these classes is to help students develop their creative skills through self-expression and independence. ArtFusion’s gallery hosts rotating shows featuring local artists. The gallery also sells handcrafted, one-of-a-kind gift items. The gallery is open Tuesday through Friday from 10 am-5 pm and Saturday 10 am-3 pm. The gallery is closed Sunday and Monday. 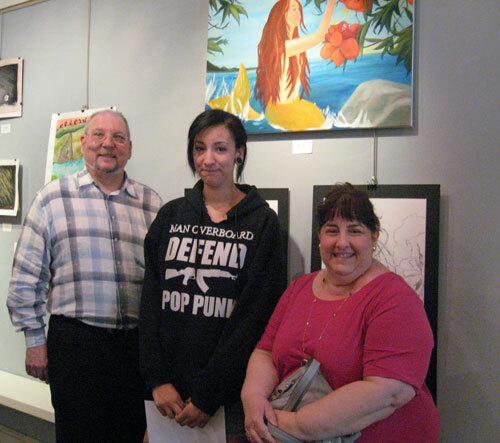 Pottstown, PA – On Saturday, May 16, the Greater Pottstown Foundation, in partnership with ArtFusion 19464, announced the winner of the Greater Pottstown Foundation Scholarship for the Arts. The $10,000 scholarship was awarded to Owen J. Roberts senior Jennifer Miller. Jennifer will be attending the Arts University of Bournemouth in England to study costume design. The three scholarship judges were impressed not only with her artwork submissions, which included a fanciful Mardi Gras-inspired costume, but also with the dedication and drive demonstrated in her written essay. This was the fifth year for the scholarship event, a partnership between ArtFusion 19464 and the Foundation. The 2015 applicants were Sarah Berkey, Julianna Clark, Jennifer Miller, Donna Oyella, and Lexi Rodriguez. The artwork submitted by each contestant, along with other artwork from underclassmen at Owen J. Roberts and Pottsgrove High Schools, will be on view in the ArtFusion gallery through May 30. Normal gallery hours are Tuesday through Friday from 10am to 5pm and Saturday 10am to 3pm. ArtFusion is closed on Sundays and Mondays. ArtFusion 19464 is a 501(c)3 non-profit community art center located at 254 E. High St. in downtown Pottstown. The school offers day, evening and weekend classes to all ages. The goal of these classes is to help students develop their creative skills through self-expression and independence. ArtFusion’s gallery hosts rotating shows featuring local artists. The gallery also sells handcrafted, one-of-a-kind gift items. The gallery is open Tuesday through Friday from 10am-5pm and Saturday 10am-3pm. The gallery is closed Sunday and Monday. POTTSTOWN, PA – On Saturday, May 16, one talented young artist will receive a $10,000 scholarship from the Greater Pottstown Foundation. This is the fifth year for the scholarship event, a partnership between ArtFusion 19464 and the Foundation. The Greater Pottstown Foundation Scholarship for the Arts is designed to financially assist a local high school senior in obtaining a degree from accredited academic institutions of higher learning for study in the arts. The applicant’s intended field of study can include a major or a minor in a visual arts-related field. The scholarship is awarded based on two criteria. The students must first write an essay on why they want to continue their education in the arts. Then the students create three pieces of art to be displayed at the Greater Pottstown Foundation Scholarship Art Exhibit at ArtFusion 19464. Also on display during the exhibit will be work from other students at the participating schools. Students from Pottstown, Pottsgrove, Owen J. Roberts and the Hill School were eligible to apply. The 2015 applicants are Sarah Berkey, Tessa Bridges, Julianna Clark, Tyesha Lewis, Jennifer Miller, Ben Mizic, Alyssa Ott, Donna Oyella, Lexi Rodriguez, and Luke Steltz. The show will run from May 16 through May 30 and can be seen any time during normal gallery hours: Tuesday through Friday from 10am to 5pm and Saturday 10am to 3pm. ArtFusion is closed on Sundays and Mondays. Pottstown, PA –The deadline to apply for the 2015 Greater Pottstown Foundation Scholarship for the arts is February 28, 2015. The scholarship is open to Pottstown, Pottsgrove, Owen J. Roberts and Hill School seniors who will be pursuing either an arts major or an arts minor in college. The scholarship is awarded based on two criteria: artistic performance as displayed at the Greater Pottstown Foundation Scholarship Art Exhibit at ArtFusion 19464, and an essay on why the applicant wants to continue their education in the arts. The essay and application are due by the 28th. The artwork for the mandatory show must be completed by May. For complete rules and an application, candidates are asked to stop by ArtFusion at 254 E. High St.. A pdf copy can be requested by contacting info@artfusion19464.org, or by visiting artfusion19464.org. POTTSTOWN, PA – On Saturday, May 31, the Greater Pottstown Foundation awarded a $10,000 scholarship to Jaid Mark, a Pottsgrove High School senior. Jaid is the 2014 winner of The Greater Pottstown Foundation Scholarship for the Arts, which is designed to financially assist a local high school senior in obtaining a degree from accredited academic institutions of higher learning for study in the arts. The scholarship was awarded based on an essay and on artwork that Jaid created for a show currently on display at ArtFusion 19464. The three pieces she entered into the competition will become part of the Foundation’s permanent collection. This is the fourth year that ArtFusion has partnered with the Foundation to present this scholarship. The show will be on display at ArtFusion through June 14 and can be seen any time during normal gallery hours: Tuesday through Friday from 10am to 5pm and Saturday 10am to 3pm. ArtFusion is closed on Sundays and Mondays. POTTSTOWN, PA – On Saturday, May 31, one talented young artist will receive a $10,000 scholarship from the Greater Pottstown Foundation. ArtFusion 19464 is proud to partner for the fourth year in a row with the Foundation to present this scholarship. The Greater Pottstown Foundation Scholarship for the Arts is designed to financially assist a local high school senior in obtaining a degree from accredited academic institutions of higher learning for study in the arts. The scholarship is awarded based on two criteria: artistic performance as displayed at the Greater Pottstown Foundation Scholarship Art Exhibit at ArtFusion 19464, and an essay on why the applicant wants to continue their education in the arts. This year the scholarship has been expanded so that the applicant’s intended field of study can include a major or a minor in an arts-related field. The 2014 applicants are: Abigail Boyce, Sabrina Brittain, Kayla Brown, Aundrea Ludy, Jaid Mark, Megan Nazaryk, Rachel Patten, Ashlyn Sassaman, Rachl Sovia, De’Von Stanton, and Allison Wessner. 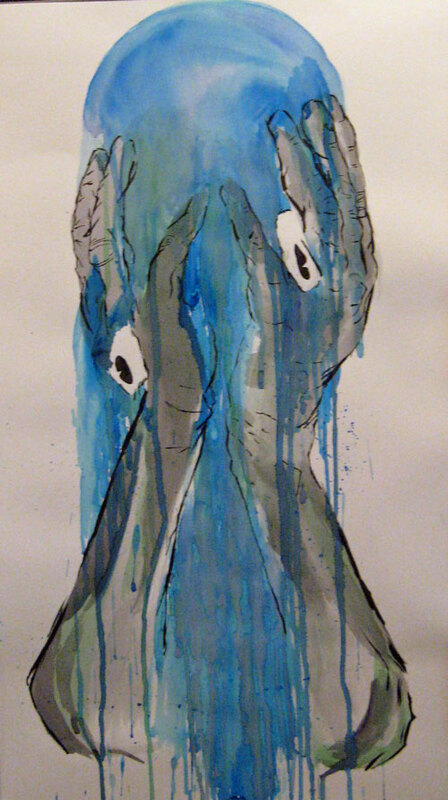 Each student will create three pieces for the show at ArtFusion. Also on display will be work from other students at the participating schools. The show will run from May 31 through June 14 and can be seen any time during normal gallery hours: Tuesday through Friday from 10am to 5pm and Saturday 10am to 3pm. ArtFusion is closed on Sundays and Mondays. The award ceremony will take place at 1pm on May 31. The event is free and open to the public. Pottstown, Pa.— Student leaders at Montgomery County Community College’s West Campus in Pottstown raised $420 during their 13th Annual Lasagna Dinner on Feb. 19. Proceeds from the dinner benefit the West Campus Student Scholarship fund through the College’s Foundation. The scholarship is awarded annually to a West Campus student who is engaged in community service and is in good academic standing. The buffet meal of meat or veggie lasagna, salad, bread, dessert and beverage was served by MCCC student leaders and was available for dine-in or take-out. Between 6-7 p.m., members of MCCC’s West End Student Theatre (WEST) presented an interactive improv dating show that had diners roaring with laughter. The West Campus Lasagna Dinner is one of MCCC’s “50 Acts of Kindness” as part of the College’s 50th anniversary celebration. Throughout 2014, MCCC students, faculty, staff, alumni and supporters are committed organizing 50 acts of community service – one for every year of the College’s existence. To learn more at the College’s 50th anniversary activities, visit mc3.edu/50. 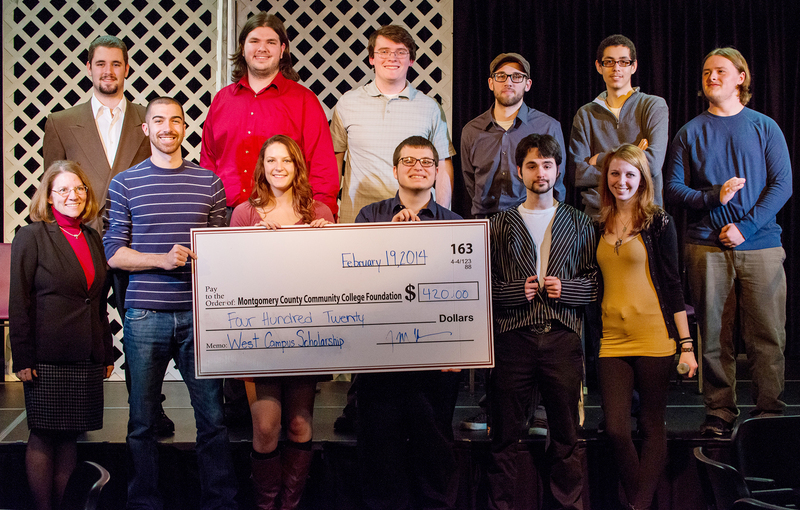 To learn more about scholarship opportunities through MCCC’s Foundation, visit mc3.edu/giving. Pottstown, PA – ArtFusion 19464 is partnering for the fourth year in a row with the Greater Pottstown Foundation to present an amazing $10,000 scholarship to a local high school student. The Greater Pottstown Foundation Scholarship for the Arts is designed to financially assist a qualified applicant in obtaining a degree from accredited academic institutions of higher learning for study in the arts. The program is open to any Pottstown, Pottsgrove, The Hill School, or Owen J. Roberts high school senior student preparing to enter or already accepted to an accredited degree-granting college or university. The scholarship is awarded based on two criteria: artistic performance at the Greater Pottstown Foundation Scholarship Art Exhibit at ArtFusion 19464, and an essay on why the applicant wants to continue their education in the arts. For the first time, this year the scholarship will be open to those pursuing an arts minor as well as those who will pursue a major in an arts-related field. Interested students must submit a completed application and essay by February 28, 2014. In addition to submitting the application and essay, students must also participate in the exhibit scheduled from May 31 to June 14. Applicants must submit a total of three pieces in specific mediums. 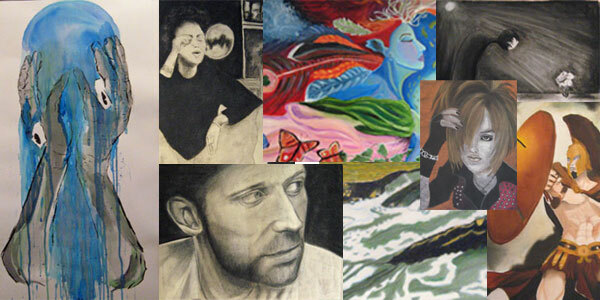 Artwork that will be submitted for the scholarship need not be completed until dropoff for the exhibit in May. The award recipient will be notified at the reception to be held at ArtFusion 19464 on May 31, 2014 from 1-2pm. Applications can be picked up at ArtFusion’s 254 E. High St. location, or downloaded from their website at http://artfusion19464.org/classes/scholarshipsprograms/. Students can also call 610-326-2506 or email info@artfusion19464.org with any questions. NORRISTOWN — The Norristown Area High School Class of 2013, a group of 408 students who have collectively received the largest recorded amount of scholarship money in the school’s history, took the stage in front of friends and family Friday for the school’s 151st commencement. This year’s graduates have been accepted to more than 202 universities across the country and have been awarded more than $12 million in scholarships, according to Norristown Area School District Superintendent Janet Samuels. The first salutatorian, Brett Harner, started things off. One Saturday, June 2, 2012 the Greater Pottstown Foundation along with the Gallery School of Pottstown awarded a $10,000 scholarship in a ceremony held at the School. Eight local high school seniors competed to win the scholarship, which is designed to financially assist a qualified applicant in pursuing their further education in the arts. The scholarship candidates were: Georgia Brum, Donna Chu, Trevon Clifford, Raelyn Hedgepeth, Meghan Luna, Lauren Niedelman, Sarah Walsh and Colleen Young. Pottstown senior Raelyn Hedgepeth won the close contest and will receive the $10,000 scholarship. Trevon Clifford, also a Pottstown senior, was the runner-up. Paul Prince, from the Greater Pottstown Foundation, and Cathy Paretti, from the Gallery School, presented the award. 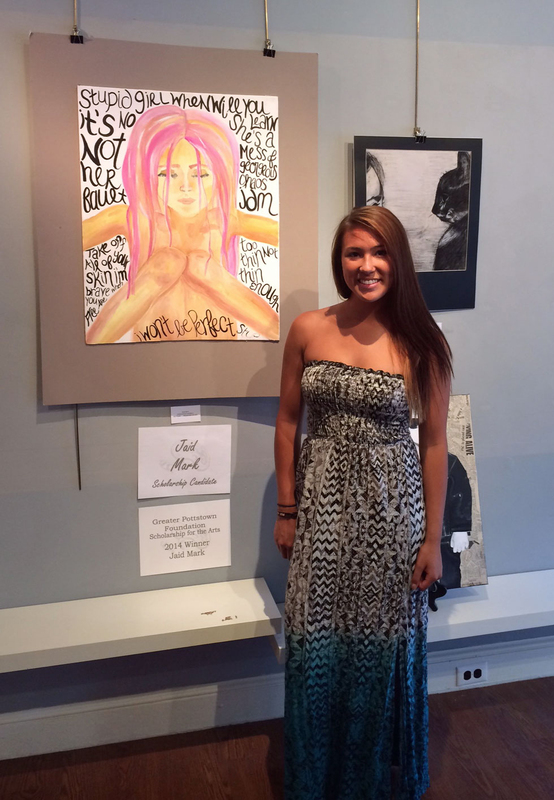 The scholarship was based on two criteria: an artistic performance as displayed at the Greater Pottstown Foundation Scholarship Show at the Gallery School of Pottstown, and an essay on why the applicant wanted to continue their education in the arts. The applicant’s intended field of study had to include a major in an arts related field. 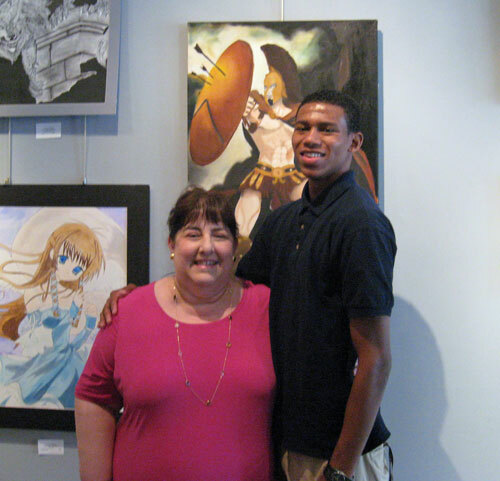 In addition to submitting a completed application form and essay, each student was required to participate in the art exhibit at the Gallery School of Pottstown. Students created pieces of art from three of four categories: watercolor or pastel; pencil, charcoal or ink; oil or acrylic; and sculpture, which included pottery, stone, glass, metal, fiber or wood. The Gallery School of Pottstown is a 501c3 non-profit community art school and gallery. The School offers day, evening and weekend classes to all ages. The goal of these classes is to help students develop their creative skills through self-expression and independence. The Gallery on High hosts rotating shows featuring local artists. The Gallery also sells handcrafted, one-of-a-kind gift items. The Gallery on High is open Tuesday through Friday from 10am-4:30pm and Saturday 10am-3pm. The Gallery is closed Sunday and Monday. Pottstown, PA – The application deadline for the 3rd annual Greater Pottstown Foundation Scholarship for the Arts has been extended until March 10, 2012. This $10,000 scholarship is designed to financially assist a qualified applicant in pursuing their further education in the arts. The program is open to any Pottstown, Pottsgrove, Hill School or Owen J. Roberts High School senior. The scholarship is awarded based on two criteria: artistic performance as displayed at the Greater Pottstown Foundation Senior High School Art Exhibit at the Gallery School of Pottstown, and an essay on why an applicant wants to continue their education in the arts. The applicant’s intended field of study must include a major in an arts related field. In addition to submitting a completed application form and essay, each student must also participate in the art exhibit at the Gallery School of Pottstown. Students must create pieces of art from three of four categories: watercolor or pastel; pencil, charcoal or ink; oil or acrylic; and sculpture, which include pottery, stone, glass, metal, fiber or wood. The application and essay must be received by March 10. Artwork does not need to be completed until the art show in May. Students can email info@galleryonhigh.com to receive an application, or stop by the Gallery School at 254 E. High St. in Pottstown.